You know I can’t just make one or two of the same things. 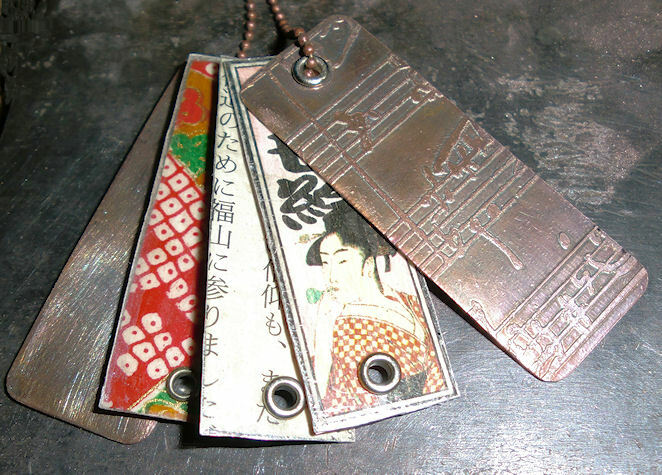 So here’s another mica, copper and paper tag pendant with the Japanese stickers. I used two stickers for this one since these pendants don’t have a front and back side. This is one side. 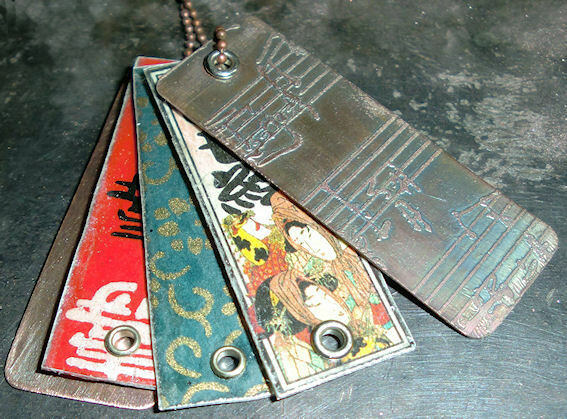 I used an etched copper sheet that has music on it. This is the other side. I’m still not done with playing with mica but I think on my next one I’m going to do something a little different. Not sure what – yet.